Following their success on the Super Nintendo, Square had originally planned to continue to develop for Nintendo systems. They even created a tech demo rendering some of the Final Fantasy VI characters in 3D for which many thought would be a preview of what Final Fantasy might look like on the Nintendo 64. These plans would soon change though, when a partnership between Nintendo and Sony fell through which ended with Nintendo staying with cartridges for its new system and Sony deciding to enter the video game market with its CD enabled PlayStation. With Sakaguchi and his team looking to push themselves with the expanded storage space offered by the CD format, Square controversially announced they would develop Final Fantasy VII for the Sony PlayStation. Yoshinori Kitase was concerned that the franchise would be left behind unless it embraced 3D graphics like other new games at the time and so Square made many advances with the new technology and Final Fantasy VII was the first in the series to feature a 3D world map, 2D pre-rendered backgrounds and character models rendered with polygons. Most famously though was the introduction of higher quality Full Motion Videos (FMV’s) that became a staple of the series. Square didn’t just focus on graphics though, as the fantastic story of Final Fantasy VII was a joint effort written by Kazushige Nojima, Kitase and Masato Kato, based off an original draft by Sakaguchi. Previous Final Fantasy series artist Yoshitaka Amano was limited during the production due to other commitments and so Tetsuya Nomura, who previously had worked on Final Fantasy V and VI as a monster designer, was promoted to lead character designer. Even composer Nobuo Uematsu utilised the PlayStation’s internal sound chip to create songs with digitized voice tracks. Final Fantasy VII was one of the most expensive games of its time and Sony advertised it heavily, especially in North America. It was also the first mainline title in the series to be released in Europe. The game was met with critical and commercial success upon its release and went on to sell 10 million copies worldwide. Final Fantasy VII is often regarded as one of the greatest games ever made and is recognised as the catalyst for popularising RPGs outside of Japan. 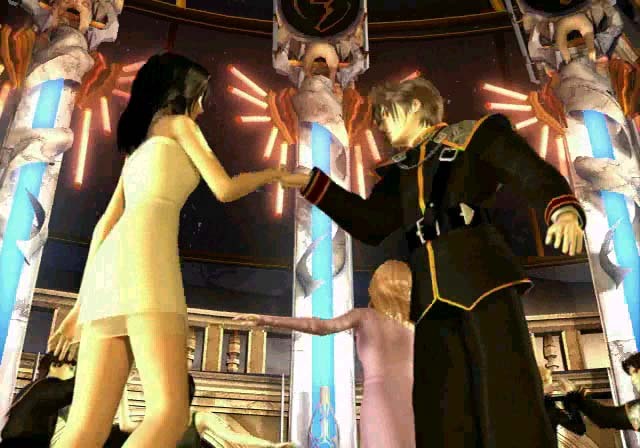 Final Fantasy VIII followed soon after VII and expanded on its foundations, presenting a more modern and futuristic world, as well as realistic and highly detailed characters again designed by Nomura. With Square’s experience with 3D graphics growing, Final Fantasy VIIIs presentation was much more consistent and it allowed the designers to make more experimental game play mechanics, such as the junction system and the addictive card mini game Triple Triad. 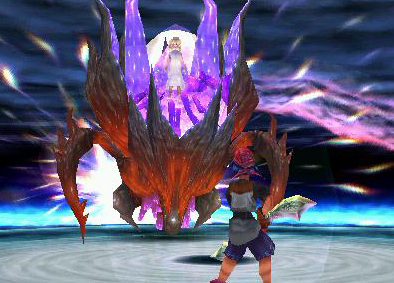 Final Fantasy IX was the last main installment to be developed for the PlayStation and returned the series briefly to its medieval, fantasy roots. Hiroyuki Ito returned as director while the character designs were handled by Hideo Minaba and were made more cartoonish to reflect the older games in the series, it also included black mages, crystals and lots of moogles . Sakaguchi has stated that Final Fantasy IX is his favourite in the series and that it most closely resembles what he initially visioned Final Fantasy to be. 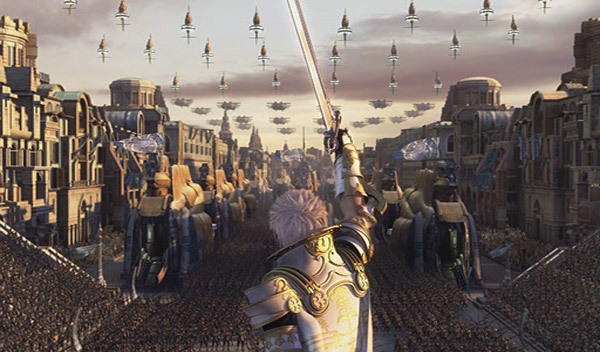 The soundtrack is also said to be Uematsu’s favourite composition. Square seemed to be on roll with the PlayStation and as their popularity grew overseas more of their other games found success as well. 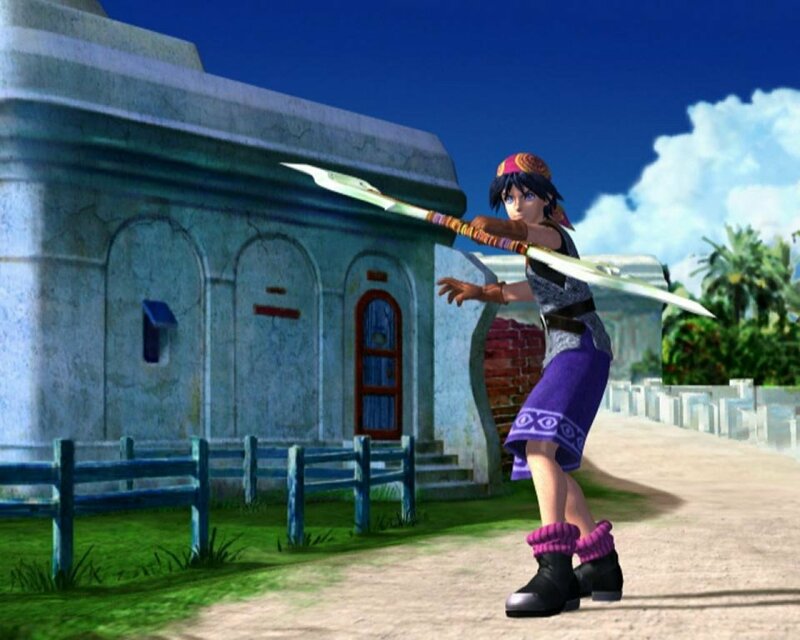 Masato Kato was handed directorial duties on Chrono Cross and with returning composer Yasunori Mitsuda they created a bright and wonderful game that dealt with parallel dimensions and featured a cast of 45 different characters to recruit. The action RPG Legend of Mana released with some of the most beautiful art work ever seen in a video game and highlighted the talent of up and coming composer Yoko Shimomura who would go on to score the two Parasite Eve games and many other big name franchises in the years to come. Showing the enormous depth of talent at Square, Tetsuya Takahashi, who had smaller roles on games like Final Fantasy VI directed the amazing Xenogears. It featured one of the most intricate and fascinating stories ever conceived and utilised a battle system that incorporated game play mechanics like combos found in a fighting game. It seemed like Square could do nothing wrong. Sakaguchi was also a big fan of a small development studio known as Quest who made the Ogre Battle games and he convinced the director Yasumi Matsuno and his team to join Square. Their partnership created more mature and complex games such as the classic strategy RPG, Final Fantasy Tactics and the dark and cinematic Vagrant Story. With a whole new legion of fans from around the world, SquareSoft re-released some of their classic games to a new audience and PlayStation ports of Final Fantasy I and II, Final Fantasy IV and Chrono Trigger and Final Fantasy V and VI were given new life and their quality was appreciated all over again. Square was now a household name and Final Fantasy was one of the biggest video game series ever, could anything stop their seemingly endless supply of talent and creativity…? While the Super Nintendo is home to some of the true classics of the genre, the original PlayStation offers a huge variety of RPGs with more mature storylines, deeper mechanics and the introduction of mesmerising FMVs. The PS1 allowed developers more freedom to enhance the way they could present their stories which provided many new features to the genre. With the extra power provided by the PlayStation hardware, RPGs such as the magnificent Final Fantasy VII amazed players with Full Motion Videos (FMVs) that helped depict important moments in the game in a more impressive way. Coming from 2D sprites, to seeing worlds realised in 3D was exciting for players at the time. Watching an emotional scene or intense action in more detail was something to look forward too, rather than a chore as in many modern games. Stories became more ambitious too, involving more mature and complex plotlines, as well as adding more depth to characters. 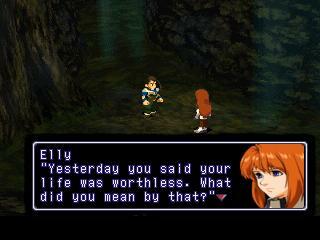 PS1 RPGs delved into themes unexplored by video games at the time and games such as Xenogears featured memorable characters, dealing with real issues that players could relate to. While Final Fantasy Tactics offered a plot filled with political intrigue, murder and heresy. More detailed character models and environments added to the sense of atmosphere and made the narratives more compelling to the player. Art design and game mechanics were diverse, resulting in RPGs that provided unique experiences. 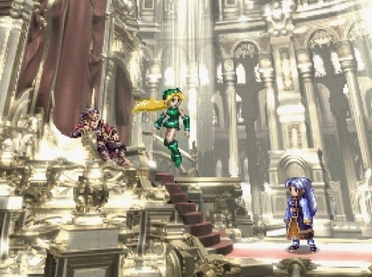 Valkyrie Profile was willing to innovate on traditional mechanics, while Vagrant Story included a battle system and complexity unlike any other RPG before it. Worlds were bigger and more captivating and with the use of pre-rendered backgrounds they were full of detail and life. Designers explored different settings ranging from futuristic and modern, to medieval and even outer space. Experimentation was at its highest and it rewarded players with some the greatest RPGs ever made. With the use of CD as storage media, RPG music was of higher quality and even vocal pieces were utilised. With voice acting still not common place, music was imperative to the experience and soundtracks such as Chrono Cross featured some of the best orchestral music ever to grace a video game. RPGs on the PS1 were philosophical and ambitious, leaving players with stories they would never forget. It has a massive number of titles with the best of the best including: Final Fantasy VII, VII and IX, Chrono Cross, Xenogears, Vagrant Story, Final Fantasy Tactics, Legend of Mana, Parasite Eve, Valkyrie Profile, Grandia, Lunar: Silver Star Story Complete, The Legend of Dragoon, Suikoden 1 and 2, Wild Arms, Star Ocean: The Second Story and many more. The next article will explore the great RPGs developed on the PlayStation 2. 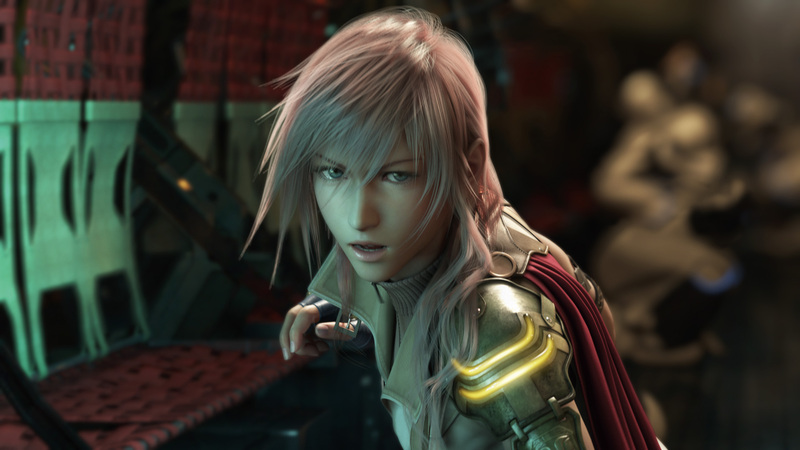 Uematsu found fame scoring the magical soundtracks of the Final Fantasy Series. Uematsu’s strength lies in his ability to convey emotion, through his music, in a variety of scenes and situations. His most memorable compositions usually include character themes and battle music. He consistently pushed the limits of RPG music throughout the years and has delivered some of the most recognised tracks in video game history. As a young composer at SquareSoft, Mitsuda was given the responsibility of providing the soundtrack to Chrono Trigger. After producing one of the best RPG scores of its time, he went on to establish himself as one of the greats of the genre. His celtic and jazz inspired music tends to define the world of the game it appears in and makes every location both unique and exciting. Mitsuda’s soundtracks leave a lasting impression both on the game and on the player. After starting her career with SquareSoft before going freelance, Shimomura has provided lots of different melodies to many RPG series. Her style lends itself perfectly to grandiose main themes and adds a sense of fun and adventure to any RPG her music appears in. Shimomura has provided plenty of diversity in her soundtracks, ranging from traditional compositions such as the Kingdom Hearts series to more experimental ones found in the Parasite Eve series. Sakimoto’s style is complex and translates differently to each of his soundtracks. Able to provide great ambiance in his musical compositions, his scores convey mystery and intrigue to perfectly accompany the narrative of the RPG, such as his score for Vagrant Story. His more recent orchestral soundtracks found in the likes of Final Fantasy XII, have taken this style to a grander scale and the outcome has been magnificent. Used to working with other composers on many soundtracks Hamauzu developed his own style working on the SaGa series. Hamauzu was the sole composer for Final Fantasy XIII and he produced his finest work. His beautiful soundtracks add enchanting melodies to their respective games, but when the need arises he creates epic musical pieces to compliment the expanding nature of RPG video game development.